The new housing price index from Statistics Canada shows an increase in June of 0.2 per cent from the previous month. Ontario was the main driver of the growth with Toronto and Oshawa together seeing a 0.3 per cent rise in already-high prices, while Hamilton saw the biggest percentage gains with prices up 0.6 per cent. Calgary new home prices were up 0.3 per cent, the smallest gain since the end of last year. 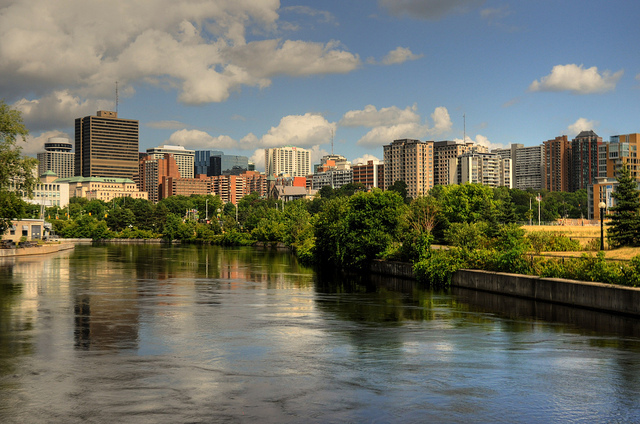 Quebec was up 0.2 per cent, partly on higher land costs and Winnipeg was up by the same margin. In most areas the higher cost of materials contributed to increased prices. There were no price changes in 6 of the 21 areas surveyed while Charlottetown, Montreal and St John’s (including Vancouver and Ottawa) all saw decline in prices. The CMHC may say that their latest figures suggest a soft landing is beginning but there’s certainly no need to panic. A ranch of figures suggests that there will be some months of growth yet. The CMHC’s own prediction this week showed a revised annual growth figure of 4.5 per cent; 1 per cent higher than they were predicting just a few months back and the Teranet-National showed a 1.1 per cent increase from June to July. The Conference Board also says this week that it expects sales volume and prices of condos in much of the country to be higher than it was forecasting last year. The big takeaway from much of the data is that much of it is opinion using snapshots of the market. The calls for more reliable official data will continue and to some extent we can only adopt a ‘wait and see’ approach to the market. Read the full story. Is the Canadian central bank lacking an understanding of what’s happening in the housing market? While data continues to show increased prices in most markets and no slowdown of any great magnitude on the horizon, those making the policy decisions are still wedded to the notion of a soft landing. Writing in the Globe and Mail, independent Montreal-based economist Sam Boshra says that unreliable data is a big problem with the Bank of Canada’s own index not considered strong enough to affect policy. He says that poor data has led the market to where it is now and that he hopes that a more reliable analysis of trends will be available, before it’s too late! Read the full story. Interest rates may be at a near historic low and the economy may be improving but first time buyers south of the border are struggling to get their first step on the property ladder. Despite the uptick wages are not growing, so obtaining a mortgage when prices have increased means first timers have to find more money for down payments; the median is double what is was in 2006. In addition the tighter lending rules have increased the use of alternative lenders with higher rates and greater down payments. With many Americans having dipped into savings during the downturn and the higher unemployment, those young buyers are not finding it easy to get the cash together and in the long term that could damage the US market. Read the full story.